The Palmer PDI06L08 is a power attenuator for live applications that is rated at 8 Ohms. Connecting between the amplifier output and the speaker cabinet, it allows you to use the power stage distortion of tube amplifiers while reducing the volume level - perfect for practice rooms. 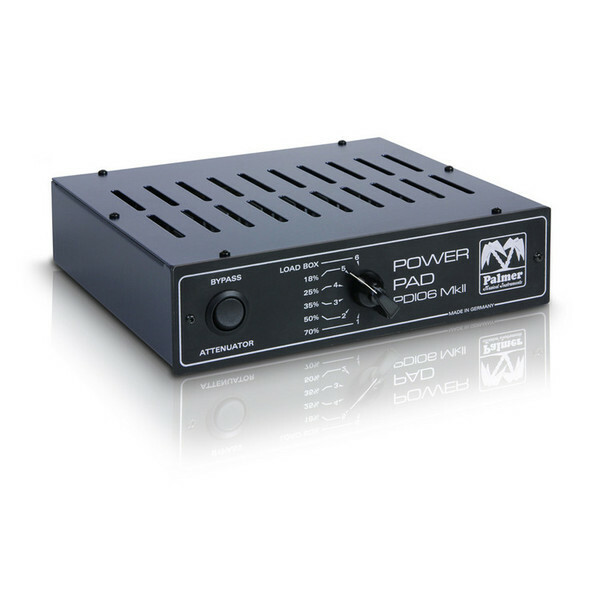 It can also mute the speaker completely, functioning as a LOAD BOX and absorbing the entire output power of the amp. Using the PDI06 as a LOAD BOX is useful when connecting an amplifier directly to the mixing desk and loud volume levels are undesirable. It has an input for the signal from the amp and two outputs for connecting speaker cabinets. The total impedance of the speakers must equal the value shown on the PDI06.